May buy 5 for yourself and 5 additional as gifts. May redeem multiple vouchers for groups. Not valid from Dec 26 to Jan 3. Must use entire value in 1 visit. Valid only for option purchased. Can upgrade to performance package for $5. Can be used by multiple people. No reservations required; quantity limited and subject to rentals on hand. Selection based on first-come, first-served. Valid through: Apr 17, 2016. See the terms that apply to all deals. Ski package includes skis, boots and poles. 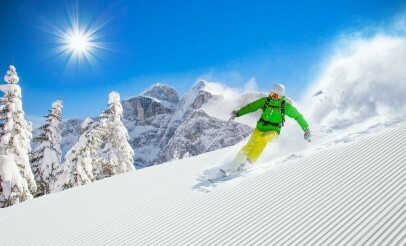 Snowboard package includes board, boots, and bindings. The Wasatch Ski Connection specializes in snowboard and ski rentals, as well as renting all the gear you could need to stay safe and warm; such as jackets, helmets, pants, and goggles. The Wasatch Ski Connections also offers service tune-ups for your skis and snowboards.